Argentine Naval Aviation Archieven - PLANESPOTTING.EU. The Dassault-Breguet Super Étendard is a French carrier-borne strike fighter aircraft designed by Dassault-Breguet for service with the French Navy. The aircraft is an advanced development of the Étendard IVM. 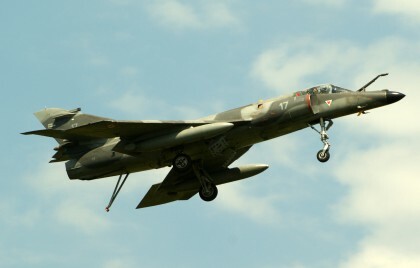 Iraqi Air Force was lent five French aircraft between 1983 and 1985; four returned to France in 1985.